Hudson's Bay has a Flash Sale today! 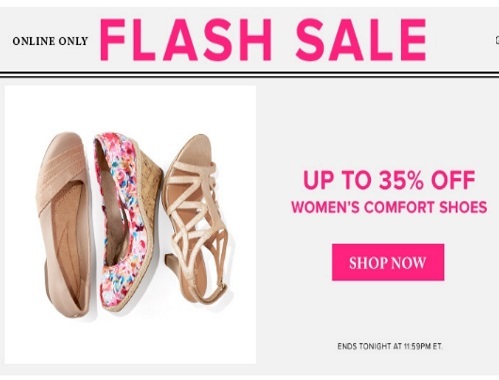 Save up to 35% off Women's comfort shoes! Offer is available online only today, Sunday, March 26, 2017 until 11:59pm ET.